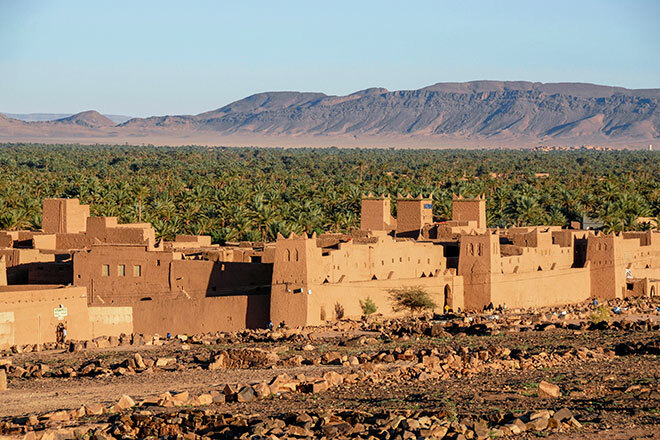 As Berber natives continue to open their villages to passing visitors biking through ancient adobe Kasbahs, Outside Travel recommends bikers to get up-close views of the valley of the Draa, enjoy its rolling landscapes, and stop for tea in a Berber village. 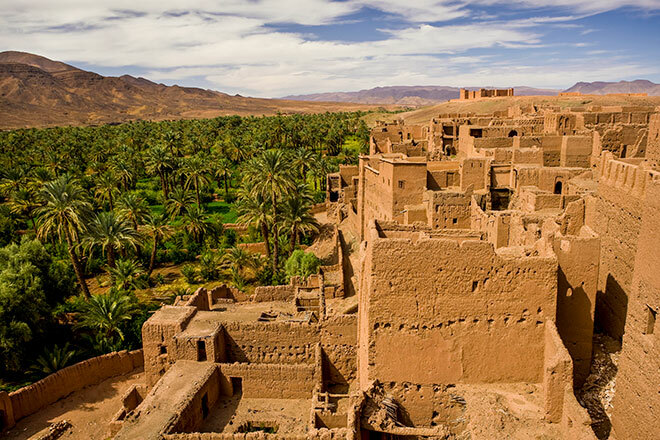 The oasis of the Drâa Valley is home to some of the most beautiful Berber villages around, as well as towering kasbahs, endless stretches of palm trees and the Drâa, Morocco’s largest river. 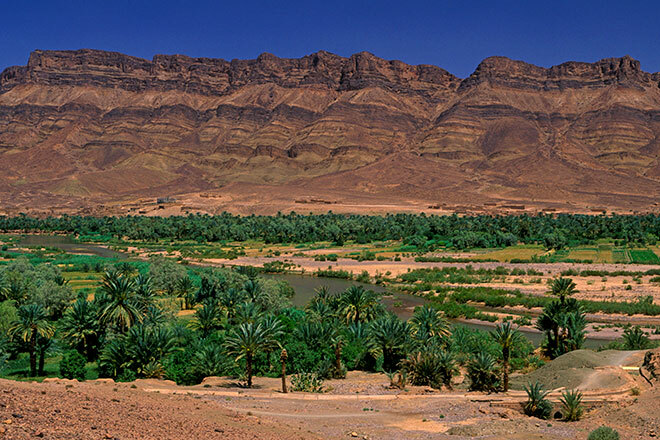 The valley, situated on the edge of the Sahara, is the legendary site of various 17th and 18th century battles between the nomadic tribes that inhabited it. 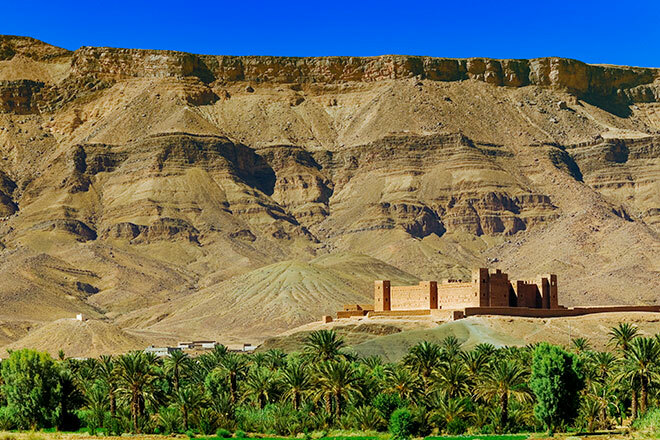 Drâa’s high-walled kasbahs served as a refuge from the enemy whenever a town was under siege. 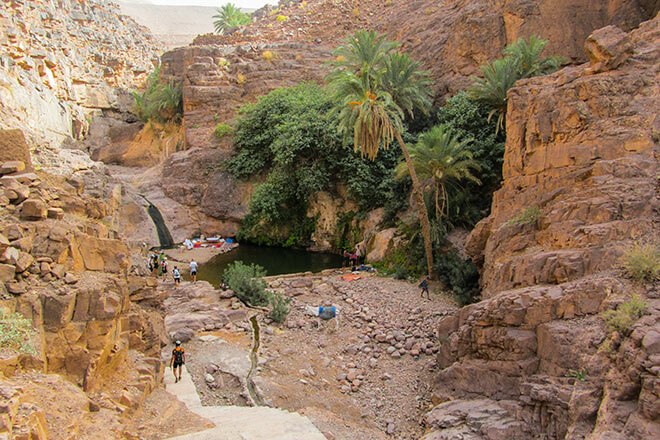 Our Beyond Biking tour will take you through these charming villages, carved out of the cliff-face, and along the palm-lined river. Expect, a warm welcome from the locals, where veiled women and high-fiving kids will wave you along. 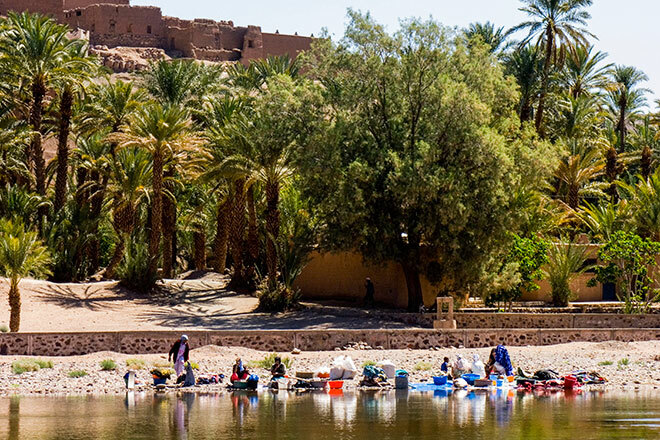 The rich Berber history means the locals still live in ways very similar to their ancestors – riding donkeys, washing clothes in the river and building their houses from clay. If you are lucky, you may even get invited to share some mint tea with a local family. 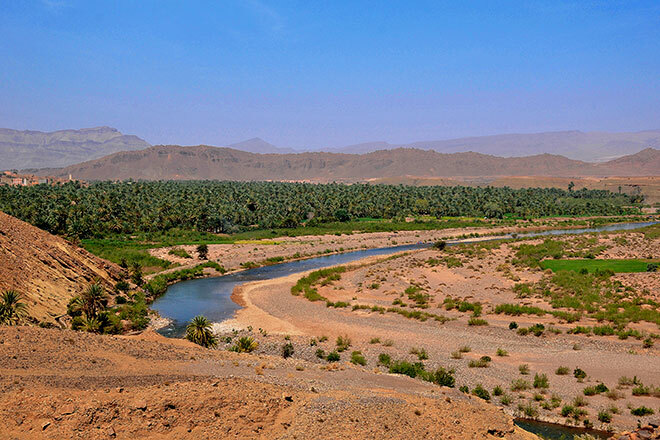 In the past, the trail along the Drâa River served as one of the great trading routes to Timbuktu. 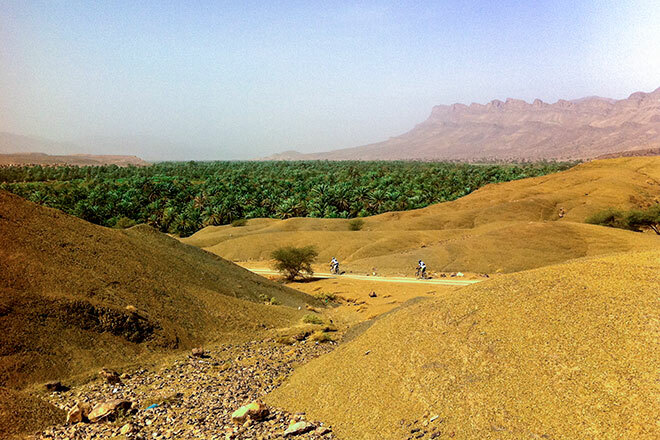 Today its wide, 4×4 gravel roads provide rolling cycling for mountain bikers on both sides of the bank. 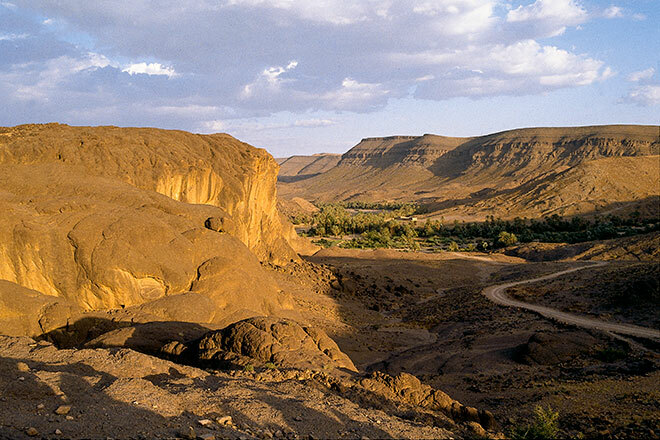 The stretch between Zagora and Agdz is 100km long, and over every hill you will encounter another dramatic sight. 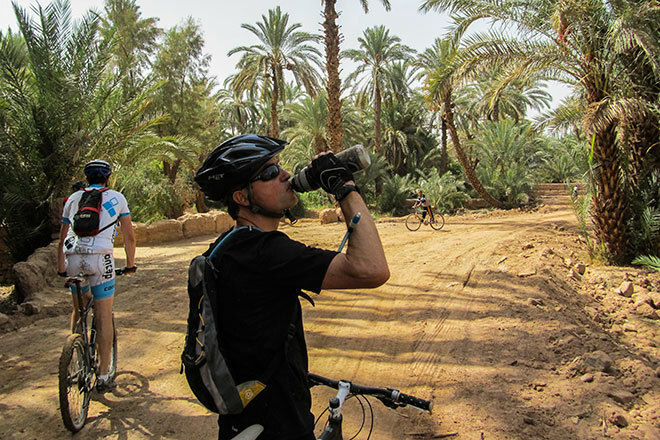 This is followed by the 55km gentle cycle from Ksar Tissergate to Tansikht, where the ascent is only 500m. 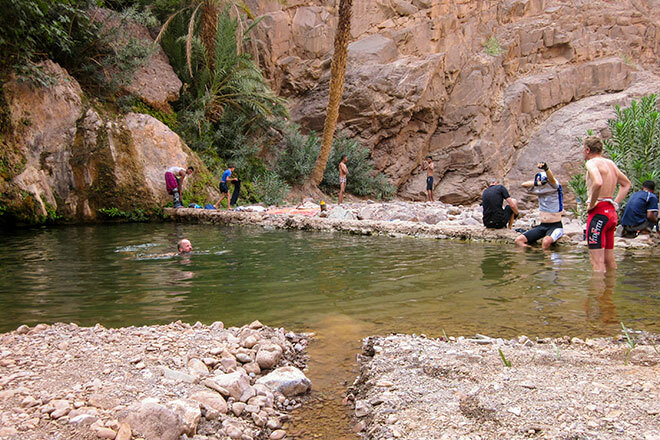 Depending on the ability level of the group, the distance can be extended to the full stretch or until 14.00 when you will be transferred to Marrakesh.